← Happy Ethiopian New Year 2010! INKUTATASH ! Debo Band Ethio-Jazz (Ethio-USA) first time in Vienna! Salam Orient – the unique festival for music and art from the Orient – will take place from 17-31 October in Vienna. 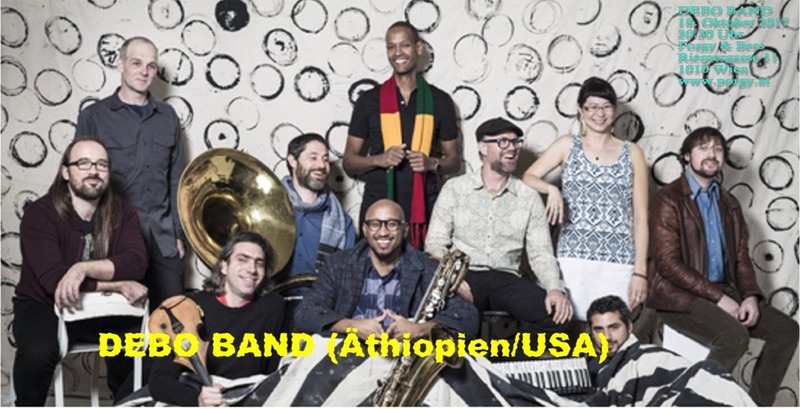 The concert with the New York based Debo Band from Ethiopia brings back Ethiopia’s lively music scene of the 70ies (Wed, 18 October, 20.30h, Porgy & Bess, Riemergasse 11, 1010 Vienna). Abugidawien!